I want to say that your program is well presented and excellent value for money. 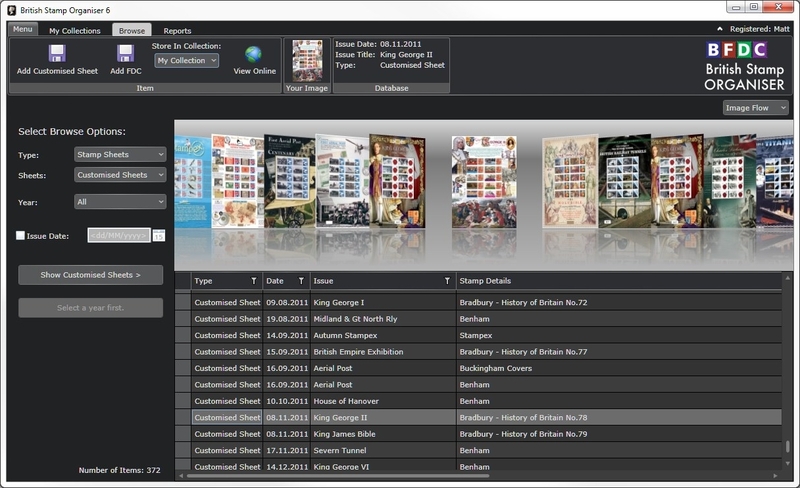 British Stamp Organiser is the most powerful and easy-to-use software to store, retrieve and present reports of your collection of British stamps. British Stamp Organiser also includes details and images of presentation packs, first day covers, stamp books, PHQ cards etc. 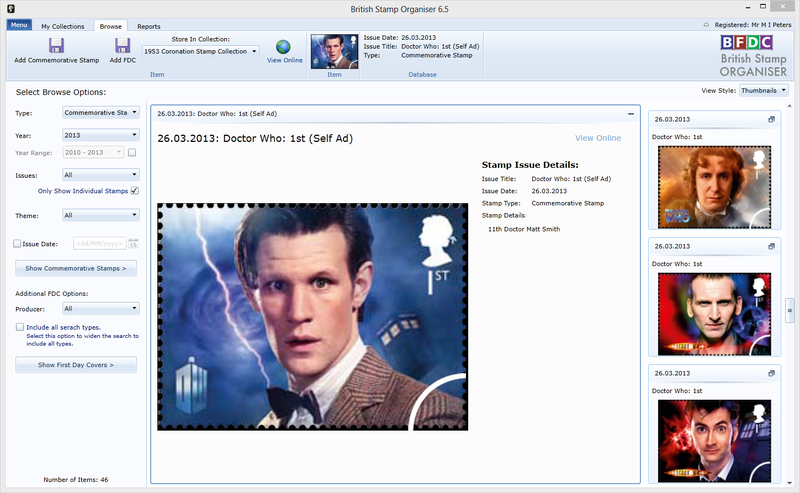 British Stamp Organiser has been referred to as ‘the iTunes for stamps’ and has added a completely new dimension to collecting British stamps by bringing philately into the 21st Century! Click to purchase the British stamp organiser. 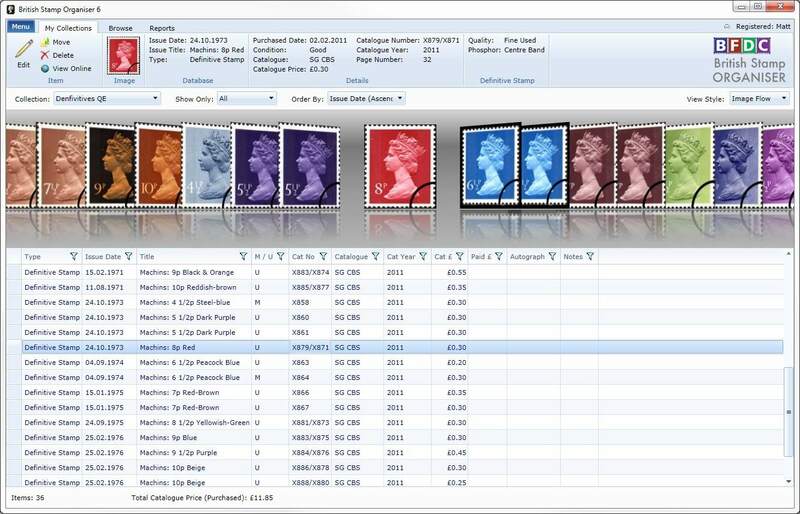 With continually greater numbers of Royal Mail stamp issues, there has never been a better time to try out this user friendly program to keep track of ever increasing collections of British stamps. 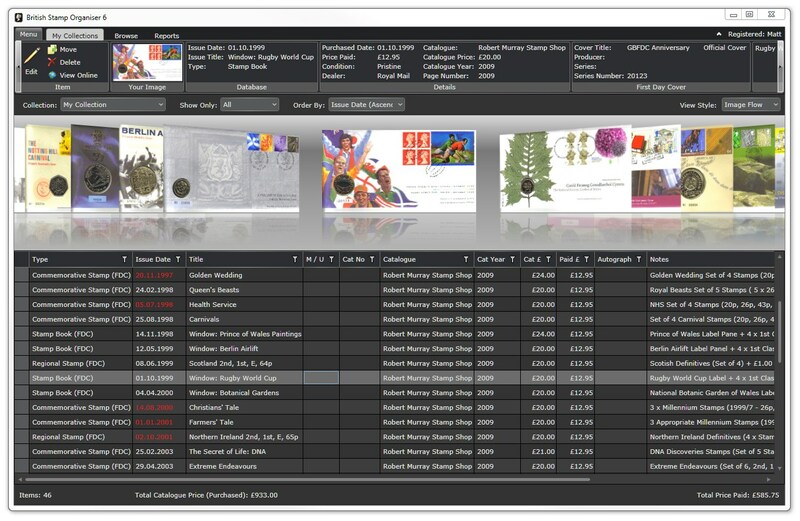 Royal Mail issues about twelve sets of commemorative stamps (also known as special stamps) each year, plus numerous other stamp issues and related products. Commemorative stamps were first issued in 1924. In addition there are issues of new definitive stamps, i.e. the small stamps with the monarch’s head - these are normally issued when postage rates change. The Penny Black issued on the 6th May 1840 was the first definitive stamp issued. It was also the world’s first ever postage stamp revolutionising the way people communicated with one another. Whilst commemorative stamps are primarily aimed at the general collector market, definitive stamps can often form very specialised and complex collections. No matter which British stamps you collect – British Stamp Organiser will provide you with the best solution. Each purchase of British Stamp Organiser comes with a FREE year's subscription! This means that your British Stamp Organiser is up-do-date from the moment of purchase. It is constantly being updated with all the latest British stamps etc and will remain up-to-date free for a year from the date of purchase.